FUNABASHI, CHIBA PREF. - Time Flyer, ridden by Italian Cristian Demuro, won the Hopeful Stakes on Thursday at Nakayama Racecourse and nabbed his first Grade One victory. The 2-year-old colt spent most of the race in the back of the pack but began his comeback rout around the final turn and breezed past the finish line in 2 minutes, 1.4 seconds. 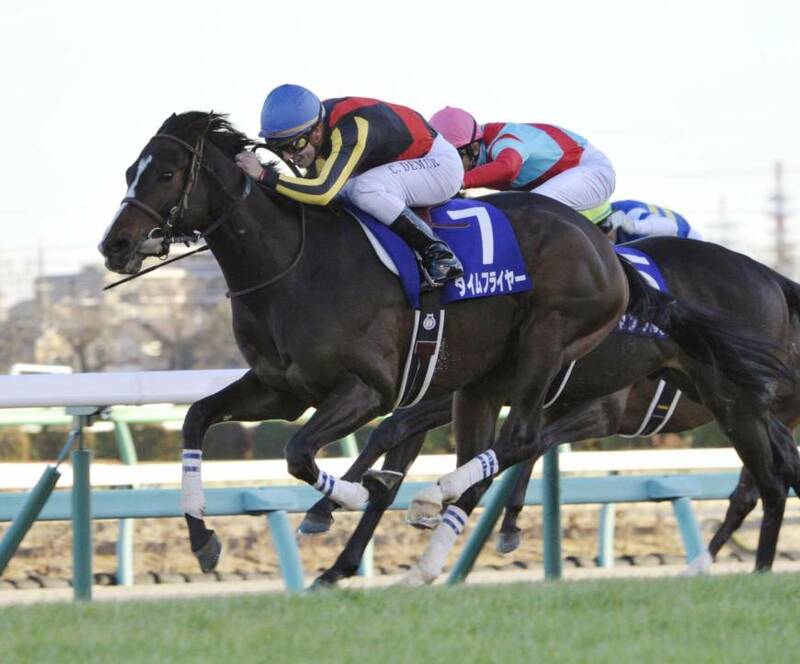 Gendarme, ridden by Yutaka Take, took second place a 1¼ lengths behind, and Stay Foolish finished third by a neck. Take narrowly missed out on consecutive G1 victories after winning the Arima Kinen last Sunday with now-retired Kitasan Black. Time Flyer won ¥70 million ($620,000) at the race, which was promoted to G1 this year, and improved his overall record to three wins in five starts.